One of the biggest problems with modern wheat varieties is that they aren’t the same as they used to be a few hundred years ago… or even a few decades ago! So it’s no wonder that so many people are looking for gluten free substitutes. If you have just watched the ‘What’s with Wheat?’ documentary, you would have learnt how the modern wheat grain has been manipulated so it’s easier and faster to grow. The modern wheat also doesn’t have the same level of nutrients or phytic acid that the ancient wheats did. This decrease leads to nutrient deficiencies in our bodies. As a result of this, more people are choosing to follow a wheat-free diet. You might be wondering is there a simple solution to avoiding wheat? Is it just a simple case of buying the same foods you love but a gluten free version of them? No, gluten free foods can still be ‘junk food’ as some still contain additives and preservatives, colours, flavours, thickening agents, emulsifiers, refined and hydrogenated vegetables oils and other dubious ingredients that aren’t conducive for optimal health. There are many gluten free versions from bread, muffins, crackers, pies, cakes, pancakes to pasta and waffles, so it’s an easy trap to fall into. When there is a gluten free logo on the packet, it doesn’t necessarily mean that the food is 100% gluten free. The same way ‘fat-free’ doesn’t actually mean the product is 100% fat free. 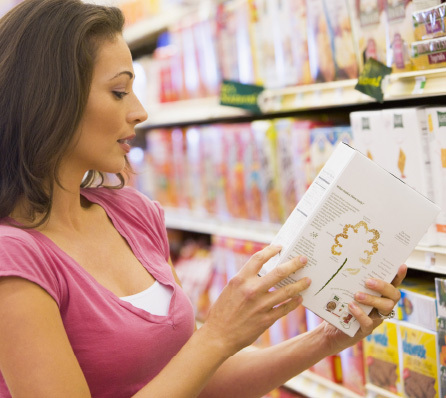 Mega food manufacturers use clever lawyers and loop holes in food manufacturing to produce ‘gluten free’ products that still contain 20ppm (parts per million) of gluten. Although 20ppm is a small amount, if one were to consume large amounts of gluten free products daily or every second or third day such as; cereal and toast for breakfast, a muffin for morning tea, a sandwich for lunch, crackers for afternoon tea, pasta for dinner and a piece of gluten free cake for dessert, they could be ingesting enough gluten to seriously impair their progress of their gluten free diet. Even a very small amount of gluten can still have a huge impact on the body and cause systemic inflammation, among other things. So how and why is 20ppm of gluten allowed in ‘gluten free’ foods? It’s mainly due to the refining of these foods. If gluten is used in the manufacturing process, for example as a stabilising agent which you might find in ice-cream or a sauce, it’s not necessary for it to be mentioned in the ingredients list. There are also many other surprising ways you can ingest gluten products without even realising it. According to this random sampling, nearly 25% of vitamins and supplements contain or are contaminated with gluten. Personal care products and beauty products can also contain or be contaminated with gluten as many contain ingredients like; wheat germ oil, oats, hydrolysed oat protein, textured plant protein etc. These may not seem as obvious to people who aren’t used to dealing with food restrictions, but they are a common source of accidental gluten. In summary, be aware of all food labels and educate yourself. What about other grains, can I still consume them? If you are serious about improving your health and making some positive changes then we do recommend avoiding all processed modern gluten, which contains grains that have been refined and highly sprayed. These gluten containing grains include; rye, barley, spelt, kamut, faro, bulger, durum, triticale, oats and semolina. We do realise that for many people, completely avoiding ALL grains is neither desirable nor practical and it certainly may not be necessary for everyone. If you want to consume gluten free grains, opt for properly prepared organic white rice, wild rice, millet, amaranth, buckwheat or quinoa. Soak your choice of grains in filtered water with a dash of apple cider vinegar and a pinch of Himalayan salt overnight. This will help to make the nutrients in the grains more available to the human body and reduce the phytates that can bind to minerals in the body. If you do purchase something in a packet, make sure you read the ingredients list and choose the product with the shortest list of ‘real’ ingredients. Whenever possible, use vegetables in place of grains. Vegetables are packed with nutrients and minerals that are easily absorbed into our bodies. Instead of using a gluten free tortilla, make a wrap out of either nori or rice paper sheets, large spinach, collard green leaves or cabbage leaves. The individual leaves can be blanched to take on a softer texture so they are more pliable! Another good option is coconut flour or vegetable based wraps like these ‘Cauliflower Wraps‘. Choose pastas that are made from gluten free grains such as rice, quinoa, millet, beans or even seaweed like these kelp noodles – or simply make your own “noodles” out of spaghetti squash and/ or carrot, sweet potato or zucchini using a spiraliser. Make pizza crust from vegetables. Cauliflower, cheese and eggs blended together makes a great dough for pizza that’s packed with nutrients. Cauliflower also can be blended up in a food processor into ‘rice’ that you can easily saute for a few minutes to make the perfect rice substitute. Get creative in the kitchen and use different gluten and grain-free flours such as; coconut flour, almond, hazelnut or sunflower seed meals, you can also buy banana, plantain or cassava flour. There are also buckwheat, quinoa or chickpea flours available too. Sometimes these can be mixed with a bit of tapioca or arrowroot flour for creating a better texture in certain baked goods. 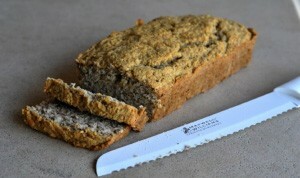 There are many gluten free bread recipes online or in recipe books. 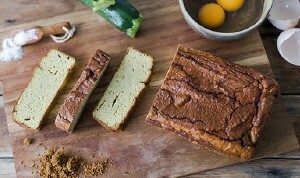 Here are a few of our favourite recipes – Paleo Almond Bread and Zucchini & Coconut Bread. If you can’t bake your own gluten free bread, seek out store-bought breads that are made from nutrient-rich gluten free flours or grains. ‘Grainer – smart food, no grains’ is an Australian company that provides beautiful gluten free paleo breads made from 100% real food. Instead of choosing store-bought, refined crackers make them yourself. 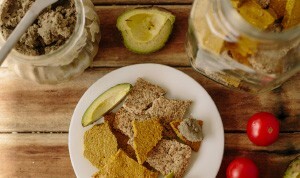 Try this super quick and easy ‘Anti-inflammatory Turmeric Seedy Crackers’. For snacks choose ingredients like seeds, nuts, dates, dried coconut, inca inchi seeds, paleo jerky, homemade jelly, chia pudding, panna cotta, homemade chocolate, gummies, organic popcorn, a smoothie, a piece of fruit or a chunk of cheese (if tolerated). Last but not least… Eat more fresh produce! Fruit, vegetables, salad greens, eggs, seafood and fresh quality meats are all naturally gluten free, so don’t be afraid to try new ones every week until you find your favourites. When it’s done right, a gluten free lifestyle doesn’t have to be rigid, overly restrictive, or isolating, it can actually be easy and delicious. Remember to seek out naturally gluten free foods, continue to test substitute recipes and ingredients until you find the perfect balance for you. Food is such a personal choice, as only you know what tastes good and feels right for your individual body. What is your favourite gluten free recipe? Please share in the comments below and help others. Or broccoli slaw. I also put in onion, garlic, ginger and coconut Aminos. Pesto chicken with homemade pesto (no need for Parmesan) and coconut cream, grated veges (easier for kids to eat) and cauliflower rice.